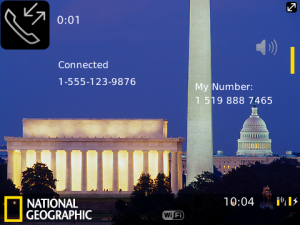 Get inspired about our planet with the National Geographic America PrimeTheme from DreamTheme, the finest collection of premium content for BlackBerry. Includes 5 custom backgrounds for you to change at your leisure. Note: the extra backgrounds are only available on devices with OS 4.5 and later. Get it now and enhance your BlackBerry experience! For an even more powerful and fun homescreen experience that is so much more than a theme try our LiveScreens!